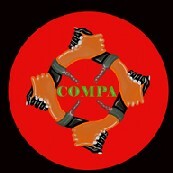 COMPA was founded in the summer of 2002 after 17 people from Las Huertas Santo Domingo Teojomulco were arbitrarily detained for a massacre that they did not commit. After the attempted massacre and detention of the three CODEDI members in Xanica, COMPA mobilized a caravan to the Zocalo in Mexico City. There COMPA met with Dr. Jose Luis Soberanes, the president of the CNDH (National Commission on Human Rights) who arranged for a dialogue between COMPA and the Oaxacan governor Ulises Ruiz two days later in Oaxaca City. That Thursday, January 3rd, at around 10:00am, the Oaxacan Sub Secretary of Governance Joaquin Rodriguez Palacios asked COMPA members to meet him at the Los Olivos Hotel to set the agenda for the meeting with the governor, which was to take place at 1:30pm that afternoon. Upon leaving the meeting with Palacios around 11:30am, Alejandro Cruz Lopez along with two other COMPA members were arrested in the hotel parking lot. The two other COMPA members were promptly released but Lopez was transported to Ixcotel prison and brought up on trumped up charges of kidnapping and taking hostages during a direct action he led at a Oaxacan district court in 1998. The case had since been closed and now Lopez is facing double jeopardy for the same charges. All this in addition to having been beaten on every inch of his body by police while in custody (in 1998), as reported by state, federal, and international human rights groups. After the arrests COMPA members Samuel Hernandez Morales and Jaqueline Lopez Almazan made their way to their office to prepare a response to the arrest. They made phone calls to the media, the CNDH, and local officials. Around 1:30pm their office was surrounded by state ministerial police and they were both taken into custody. Both were brought up on trumped up charges of their own from a direct action they lead against the Secretary of Transportation in 2001. Please take the time to send send this letter to the Mexican authorities and demand the release of these political prisoners. The Austin independent media center has had the distinct privilege of working with COMPA and its affiliates for over three years. On September 11th of 2002, two Austin imc reporters, Simon Sedillo and Kimberly Kern, were detained at a permanent sit-in in front of the Oaxacan state capitol, organized by COMPA. The two reporters, and a third Jeff Lazar, who managed to evade arrest, were working as human rights observers at the sit-in for two and a half months, documenting testimonies and averting police repression against the indigenous protesters. The two detained reporters were given three days to leave the country and threatened with thirty years imprisonment if caught at another Mexican protest. Lazar and Sedillo worked closely with Samuel Hernandez Morales and Jaqueline Lopez Almazan for three years previously on projects for the organization CODEP (Committee Organized in Defense of the Rights of the People). Jaqueline and Samuel were both middle-school teachers when they began organizing with their community 23 years ago in the town of Putla Villa de Guerrero, Oaxaca. Both had been members of CIPO-RFM and founded CODEP themselves 13 years ago. During several visits by Austin imc reporters over the course of three years Jaqueline and Samuel were instrumental in exposing the journalists to the atrocities that flourish in Oaxaca. Primarily, Austin imc focused on paramilitary activities perpetrated by then PRI governor Jose Casab Murat. On May 31st of 2002 a group of five masked men massacred twenty-six Zapotec saw mill workers from the community of Santiago Xochiltepec, at a place known as Agua Fria. Eight hours after the massacre State Preventative Police entered the community of Las Huertas Santo Domingo Teojomulco violently detaining seventeen individuals including two grade school children and a sixty-nine year-old woman. The seventeen were accused of committing the Agua Fria massacre. In addition to the arrests State Preventative Police ransacked homes, stole money and personal belongings, and in one case a masked police officer defecated on the living room floor of a 70 year old woman’s home. Community members from Las Huertas immediately established a permanent sit- in at the Oaxacan state capital. Several different Oaxacan social organizations came together in solidarity with the people of Las Huertas and began a framework for nation’s largest anarcho-indigenous coalition. Two weeks later Lazar and Sedillo arrived on the scene and began documenting their testimonials. For the last two years, Austin imc has been producing a documentary about the birth of COMPA, titled “El Enemigo Común” (The Common Enemy). Lazar and Sedillo spent two and a half months at the permanent sit-in in front of the Oaxacan state capital, with constant support from Jaqueline and Samuel. At one point during the sit-in, Lazar and Sedillo were inside the CODEP offices, as State Preventative Police surrounded and raided the building. When officers saw Lazar and Sedillo online, they stopped dead in their tracks, and left the building empty handed. One week later, Lazar and Sedillo were stopped by State Preventative Police on the street and directly threatened, “You should be careful with what you are doing Simon, anything can happen to you here, this is Mexico”. Two weeks after that, on July 21st, COMPA mobilized 5000 representatives from 300 different communities to the permanent sit-in. Three days of direct action ensued, culminating in an evening march with sticks and machetes, headed towards a line of 1500 riot police. During a stalemate, the police infiltrated the protesters and released tear gas where only women and children stood. Six weeks later, Sedillo and the recently arrived Kern were detained and forced to leave the country. This is a taste of the politics of Oaxaca and its revolutionary movements. Samuel and Jaqueline were instrumental in, not only radicalizing but, building the path upon which we (Austin imc) walk today. Please take the time to read as many of the links in this feature as possible in order to learn more about COMPA and their current struggle. I assure you this will be an enlightening experience. Once you’ve read the stories, tell your friends, community and organizations about it to get as many groups or people as possible to send the urgent action letter to the appropriate addresses. Thank you so much for your time.